Great news, everyone! Battle for Azeroth pre-orders are now live — and they come with immediate access to four Allied Races. Those four include Void Elves and Lightforged Draenei for the Alliance, plus Nightborne Elves and Highmountain Tauren for the Horde. You can purchase the expansion either in-game or via the Blizzard Store. If you want to pre-order and get your hands on the new races, head on over to the official Blizzard website. The base version of the expansion will cost you $49.99 USD, while the Collector’s Edition will cost you $69.99 USD. Note that in-game purchases may require a relog to activate the Allied Races. It’s also worth noting that, according to the official website, “Battle for Azeroth will be released on or before September 21, 2018.” In other words, Summer 2018. Everything we know about the expansion so far. The Battle for Azeroth Collector’s Edition comes with faction-specific mounts and an adorable Tortollan pet. Here’s what you need to unlock each Allied Race that’s coming out today. However, be aware that the requirements may not have been finalized at the time of that post. They may be different on live. Battle for Azeroth has a boatload of new and updated models, as well as some sweet looking weapons. Some of it may have changed, but we have a plethora of additional coverage for you to check out! 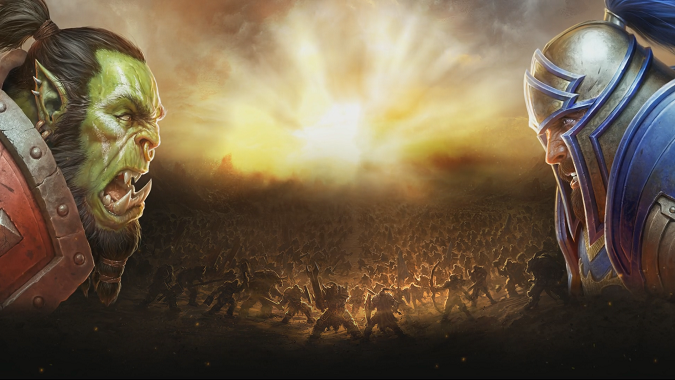 If you’re still on the fence, be sure to check out the official Blizzard page for Battle for Azeroth. Are you going to be pre-ordering Battle for Azeroth today? This week?